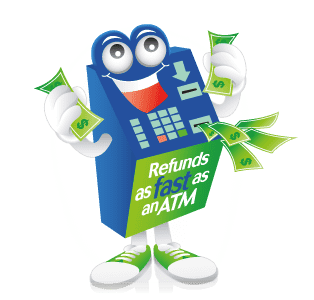 Just complete our online form with “Annerley” as your preferred branch, and we can usually advance the refund within 3-5 business days. Tax Today Annerley is located at Level 2, Shop 7/494 (cnr Dudley St) Ipswich Road, Annerley. Opposite Westpac Bank, just down from Woolworths and Jetts fitness. Paddy and the team are Brisbane’s experts in Rapid Tax Refunds! No other Tax Agent can offer services like this. So give us a call today on (07) 3102 0055 or email our office annerleyadmin@taxtoday.com.au. Level 2, Shop 7/494 Ipswich Road, Annerley 4103 – On the corner of Dudley Street. Disclaimer: Tax Today is a registered tax agent authorised by the Australian Tax Practitioners Board. We are not a government entity nor are we a free service. Although the ATO provides do-it-yourself software (My-Tax) at no cost, Tax Today offers the benefit of professional tax preparation and the option of receiving your tax refund faster.